Using the F-word in dragon boating gives some people an inordinate amount of pleasure but strikes absolute dread in others. Depending on the type of team you paddle on, your team might embrace its use or renounce it. Yet whatever your team’s perspective, it needs to align with your club’s mission statement. 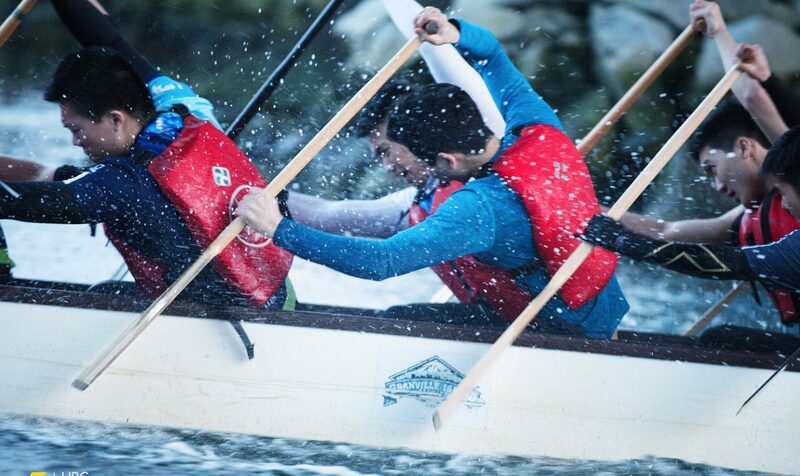 If your team has declared itself to be an all-inclusive team where everyone gets to paddle regardless of their ability, attendance, or fitness level, then your team likely embraces the F-word. If, however, your club has determined that it is focused on being more competitive, then it is likely that your teammates as well as your coach loathe the F-word and those who use it. There is absolutely no way to be “fair” in selecting a race boat, especially a competitive one. Even with fitness tests and time trials, there is no possible way to maintain exact conditions across the board. Why? For many reason. Let’s take a look at a few. The environment plays a big role in the issues with consistency of testing. It is highly likely that on-water time trials, for example, are affected by wind or currents. And, in cases where paddlers are competing against others in different regions across a country, such as for a national team, diverse bodies of water (salt water versus fresh water, for instance), and even tides can change results drastically. There is absolutely no way to have the exact same conditions for every single paddler, even within the same day at the same location. Different boats perform differently and are differently weighted. Different gym equipment, despite being labeled as 50 pounds, for example, can vary slightly in its weight, believe it or not. And different people administering the fitness test have different standards of what constitutes a push up or a chin-up, for example. Unless the exact same equipment is being used by all paddlers at every single test, and there is a set standard for all participants, there is no way to be 100% consistent. A paddler’s physical structure has the potential to either greatly benefit or hinder them on any given assessment. For example, At 5’11”, the rowing erg is much kinder to me than it is to my teammate who is barely 5 feet tall. On the other hand, when I hang on the pull-up bar and contemplate the giant distance between my chin and that bar, I start wishing that I was a foot shorter so that the distance would be significantly decreased! 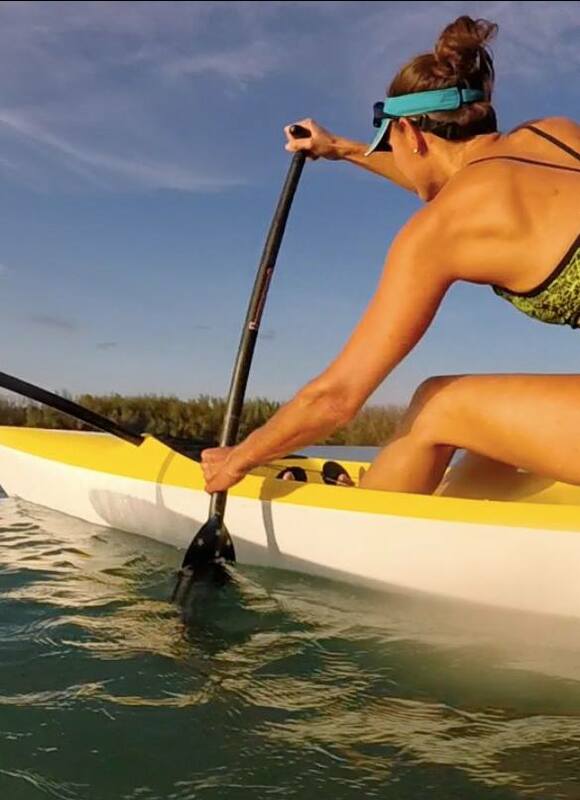 Similarly, on an OC time trial, a 200 pound paddler will have a very different experience than a 120 pound paddler on the same OC (and that isn’t even taking into account other factors such as the paddler’s steering ability or basic talents on an outrigger). Now I can already hear you saying, “But those two paddlers wouldn’t be competing for the same seat on the boat – they are completely different sizes and would probably sit in very different parts of the boat!” True, but I still hear paddlers complain about the coach’s choice of race crew when the person they are complaining about the most is not even someone they would ever be competing with due to size differences or even a difference in paddling side. This is part of the reason that a coach can’t simply choose the top 20 paddlers from a time trial, fitness test, erg test, or any other kind of assessment. If he or she did that, the race boat is likely to end up very unbalanced, with no strokers/pacers, all left-sided paddlers or some other equally unproductive problem. You get the idea. Which is why the word “fair” is the bane of most coaches’ existence. Everyone’s definition of “fair” is different, and typically centers around what they consider best for themselves or their own situation. Tweet it! Even when a team aims to be “fair,” can it ever really be 100% impartial? On a “fair play” or all-inclusive team, questions about fairness still arise. If there are 26 members on the team and only three races, what kind of a rotation do you use? Who gets to race all three races? Who only gets to race twice? How does the coach or team leader determine this? Is it determined by attendance at practice? The amount of money donated to the team? Who has been on the team the longest? Who appears the strongest? Who is most well-liked? Who won a coin flip? Sure, some of those sound silly, but how would you select a race boat in an all-inclusive team with more than 20 available paddlers? How would you be “fair”? Even teams whose foundation is based in fairness struggle with how to carry out such equity. Everyone’s definition of “fair” is different, and typically centers around what they consider best for themselves or their own situation. What? No one wants to acknowledge it, but a person’s opinion of what is fair routinely changes depending on his or her own perspective. If you are on the race crew sitting at the start line, you are more likely to think the coach’s selection was fair than if you are sitting on the dock watching the boat head out for the race. It’s as simple as that. But, as this is a team sport, it is important to consider what is best for the team. If a team has decided to be competitive, what is fair is for everyone on the club to support their team’s mission and work to build the team up to the competitive level the members want it to be. If, on the other hand, a team has decided to be all-inclusive, what is fair is for everyone in the club to support their team’s mission and work to make the team the equitable and fun experience for all members, regardless of ability. So, the next time you find yourself tempted to use the F-word, consider whether it would be productive or not. Think about what your version of “fair” might be, and then contemplate whether your own goals align with the team’s mission or not. 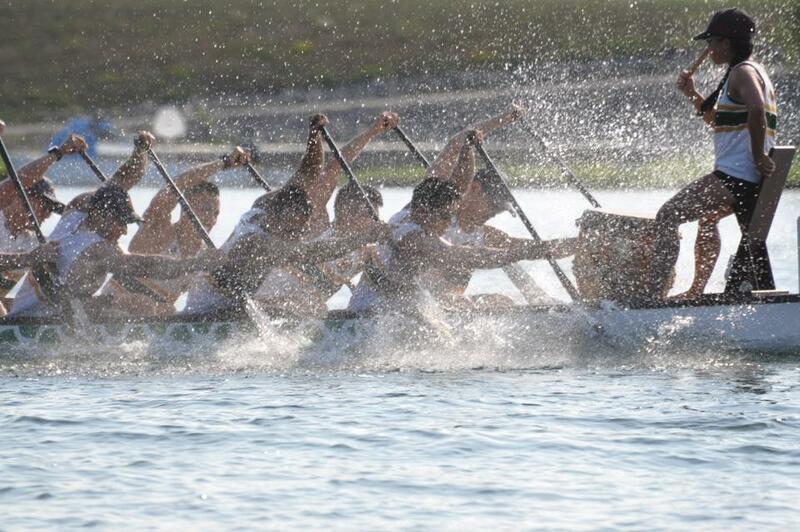 Show Your Dragon Boating Spirit - Enter Our Photo Contest! I think it’s also fair for the coach of a competitive team to let people know as soon as possible when they are likely to be on a race crew and when it’s more likely that they will be sitting out a race or two. Nothing is more frustrating to get close to a regatta or festival date only to be told that the race boat roster is already filled for that day…. Good point, Mike. Perhaps another post is needed, discussing things from a coach’s perspective? It is important to note, however, that things can change at the last minute. Paddlers get sick or injured, stuck in traffic, oversleep, etc. You cannot predict when you may need those spare paddlers. To tell a member of the team that he or she is not on the race crew far in advance of the day can later cause problems if a paddler on the original crew becomes ill, for example. What if the coach now needs to fill his or her spot on the race boat and does so with an alternate but then needs to fill the space of the alternate on the roster (because no team wants to go race without spares)? The coach asks you, but you have already made plans to go to a nice tropical island that weekend because you weren’t planning to be on the race roster. Now the coach is digging deeper into the roster to fill the spot. I don’t know that there is a right or wrong answer to this, but it is important to consider different perspectives and I appreciate you bringing this up. Well, this year I did winter training with a team that are much more competitive than the team I started with last year (who are strictly recreational). The coach this year has made it clear that, while he greatly admires the work and commitment I’ve put into my training, because of the quality of the other paddlers ( a couple of whom are shooting for the Canadian Senior B National Team) the odds of my being on a ‘race boat’ come tournament season are not the greatest. While disappointed (but not surprised) I appreciate the fact that he has been nothing but honest with me…. Honesty certainly goes a long way. I’m glad you are realistic about what your paddling season will likely look like. The transition from a recreational to a competitive team is often a shock to paddlers who were used to being the big fish in a little pond. And who knows? You may surprise yourself and your teammates when your commitment and hard work earn you a seat on the boat. Thanks, Stana! I appreciate you reading the post. Don’t forget the “S” word as well, Kristin! Jim, am I having a mental block, or just plain missing it…the “S” word? Which one are you referring to? From the Level 2 coaching course last October….the F word is “fair” and the S word is “should”! When we talk about what “should” be done, that is a whole other kettle of fish! Worth another blog! Aha! I DO remember that, now! I had completely forgotten about it. Thanks for the reminder, AND for the new topic! I’ve always thought that the word “fair” should be eliminated from one’s vocabulary and thoughts………..there is no inherent fairness in this life and there is no good reason that it should be. If you don’t like something, then change it yourself. Interesting idea, Jerry. Thanks for reading! As the coach and director of Adaptive Adventures Dragon Boat teams, it is always a difficult decision of weighing what is competitive vs recreation and fun…. and how to combine both. As the leading fully adaptive dragon boat programs across the country, it is our highest priority to show community inclusion that is combined Power-Teamwork-Strength-Drive. If they attend sessions, commit to the lifestyle that is healthy and progressive wellness, they are a part of the competition team. Having pulled far away from many other ‘able bodied’ teams, it is surprising when they hear of no rotation in line-up between race heats. They are always at the ready to “battle with their paddles” and have put in the efforts needed to race three heats consecutively. The ‘F’ word flies fast and far….. and it is always ‘FUN’ and ‘Fire’, despite being competitive. The other is ” ‘F’ yes, I want more”. Inclusion is missing limbs, blind, paralysis and traumatic brain injury. We want to help create an ‘arm’ of Team Blue for adaptive within every major able bodied club in the world! Chris, thanks for reading and for sharing a bit about your Team Blue. It sounds like a wonderful program! Thanks Kristin, great read. Even more of an appreciation for our coach and the tough decisions she must make. Thanks for reading, Debra! It’s definitely not an easy job being coach, but certainly worthwhile when you’ve got a supportive team. Wise words, hard to swallow, but wise. So for all those paddlers, in the spirit of inclusiveness, remember when you are having loads of fun racing in a regatta, that there may be others sitting on the sidelines who have turned up for every training session, worked at every fundraising event, helped every newbie, promoted the club to everyone they meet, that is looking a little sad and dismayed. Inside they may be wondering about fairness. Maybe a huge thank you to those left back on shore for making the club inclusive, and a hip hooray for wins which they contribute to just as much. That’s a great point, Wendy, and I’m so glad you mentioned those who work so hard to keep the team running, but might not be on the race boat. It is important to acknowledge them as well. And more important to thank them for all their hard work. Thanks for reading and for this addition to the post! On the flip side, you have those who have attended every training session, done in-gym and trail work on their own time as well, to get themselves as fit and ready to excel as possible on race day, only to have someone join the club a week or less before the race, attend maybe one practice, then get a seat on a boat simply to fill the roster, only to poop out 20 strokes into the race because they are not in shape…. Mike, in that case, it would seem that the larger problem is that the team is hurting for paddlers and needs a new recruiting and/or retention plan.